If you want your event to make the news,better way to do it than going to the press. First off, you’ll have to engage your PR team. They’re your go-to team for all things press related. They’d set up the meet-cute (between you and your press guys). Here you have three possibilities. 2. 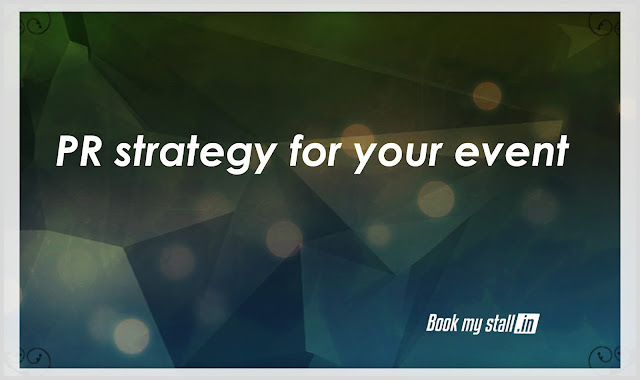 You may decide to hire someone or a professional PR agency to handle the event. 3. If you’re approaching the news guys through their own PR teams, an odd third option, please don’t say you want so and so to cover this event. Don’t even hint at something like that, or say something that can be misconstrued to mean something like that. It is considered to be very bad form. Make sure you are aware of every transaction of PR Team Performs. You’ll need to know what they promised the press guys — any rules or conditions they may have pushed through or promised to abide by, not just the stuff they tell you only on a need-to-know basis. This probing on your part needs to be done. You can’t risk annoying the press at the first go. Prior to calling them, get to know everything you can about them, including the stuff they write about and info about rivalries. You may be inviting more than one press group. So you’ll need to know all this if you are to handle things nicely and avoid clashes. If the press guys you’re calling over know you, kudos. If they know someone you know well, on the team, first find out if they’re on good terms. If they are, then go ahead and have a chat with them to see if your friends can say hi to the press for a few minutes to soften things up. If you don’t know them, then see if you can get your PR team to assist you. If you have someone of eminence on your side, having them drop in for a few minutes can be a good idea. But remember, this is not to show off, or show superiority, but to show your journos that you think they are worth the effort. Make sure your high fliers who come by are polite, or all the effort will go to waste. Next, assuming you’ve done all that you could do to publicize your event, and it’s a big deal now, and everyone who is someone wants to be there. When you call, you should have all the required information with you, what it’s about, who’ll be there, why it matters, and why it’s a good reason for them to cover the event. And, any other additional information you might need to know like stuff about your competition too, in case both your events are happening in the same week. Be polite, and articulate. If you’re not confident you can do it nicely without rubbing anyone the wrong way, then find someone who’s good at it. Whichever language you choose, make sure whoever is doing the talking is good at it. Journos are great at it, since they’re hired for their literary talents. So don’t mess up. If they call you then the same rules apply. You’ll still have to be ready for questions, and you have to answer them, if you want their favor. Please be dignified at all times, and avoid attempting to talk too friendly with them,or worse flirting or bulldozing them. It’s rude, and while you may have seen them on TV or read their stuff in the newspapers, you do not know anything about them, so keep it formal over the phone. It’s a great idea to call over the members who will be covering your event, for a casual meetup, to hash through the details. You’ll have to talk about stuff they can talk about, stuff you’d be a bit anxious about, private green room interviews, permits, photos, controversies they can cover and controversies you’re not comfortable with. Be honest, but at no point, can you forget to be civilized. Whatever you do, do not attempt to say hi via social media. If you want to do that, then first get their approval to do so, when you call them up. Don’t do anything before that. You can check out their pages or profiles if you want, but nothing more. Once you’ve had the first formal chat, check with them if they can add you up on Facebook, or say hi on Twitter. Being in the know, when it comes to social media, is considered a boon. It’s a sign that you are in with what’s trending. And they’d appreciate that.